Perhaps you’ve seen the sea lions at Fisherman’s Wharf, driven down Lombard Street, and Instagrammed your shopping trip to Union Square—and now you want to see how real San Franciscans spend their weekends. We recommend a visit to Hayes Valley, a trendy-yet-mellow neighborhood of sidewalk cafes and patisseries (French pastry shops). Hayes Valley has a much different feel than downtown San Francisco, although it’s just a short walk from City Hall. You can easily spend an entire afternoon here enjoying brunch, window shopping, and drinking at outdoor beer gardens—without having to push your way through the masses or climb steep hills. These are our top 5 picks for a day trip to Hayes Valley. Smitten is not a typical ice cream parlor. 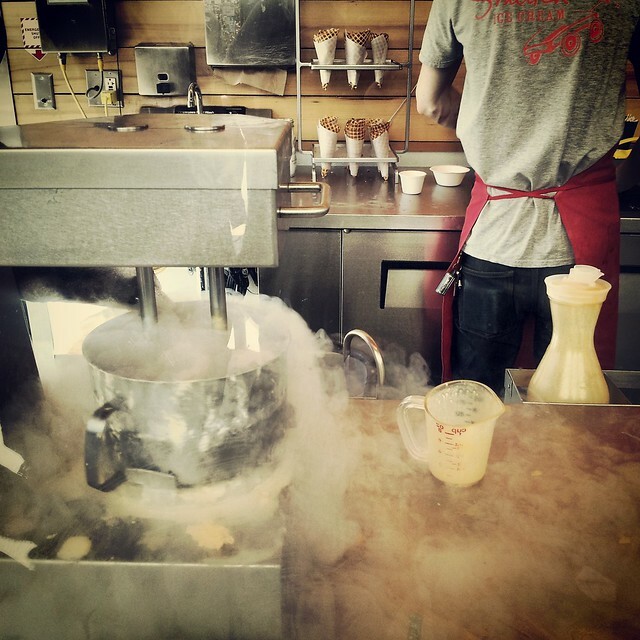 Foodies and science-lovers come here to eat handmade ice cream that is churned on the spot using liquid nitrogen (-320 degrees F). The result is a ridiculously creamy ice cream with exotic flavors such as Rhubarb Crunch. For those of us who are lactose intolerant or crave a caffeine fix, no worries, there’s a café in the same spot. You and your amigos can lick waffle cones and drink espressos together at an adjoining open-air urban space. In fact, Smitten’s side-walk ice cream shop is the perfect place to take a date. 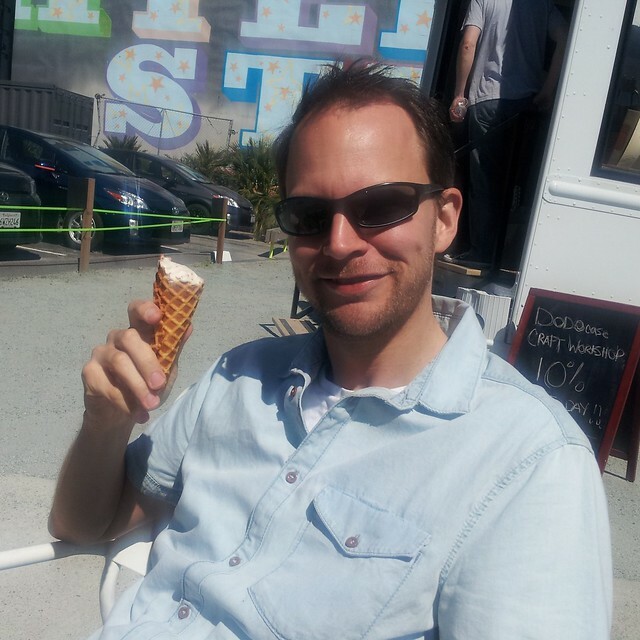 Searching for an outside opinion, I recently visited Smitten with a Swede who confirmed that Hayes Valley has a European vibe. A visit to Hayes Valley isn’t complete without brunch. One chic spot is Absinthe Brasserie and Bar, which features raw oysters and exotic cheeses on its brunch menu (reservations recommended). More budget conscious travelers can order $6.50 egg dishes and $2 coffee at Chez Maman. Has the macaron really replaced the cupcake in terms of popularity? 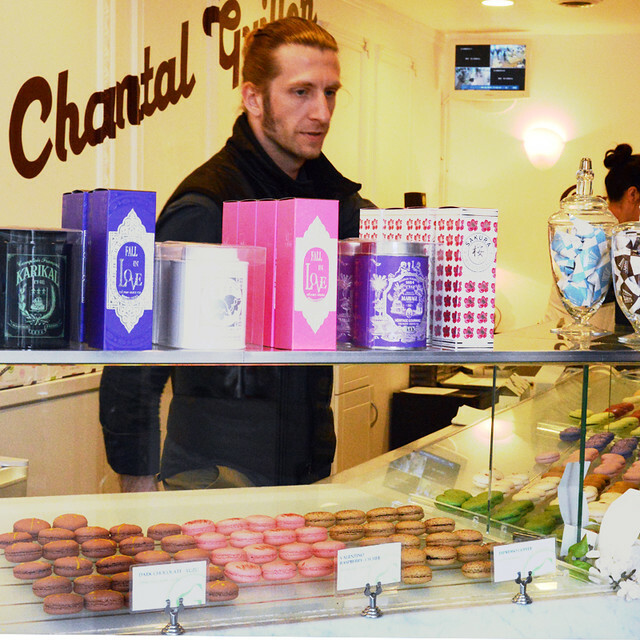 Evaluate the hype at Chantal Guillon, a Parisian-style sweets shop serving locally-made macarons. 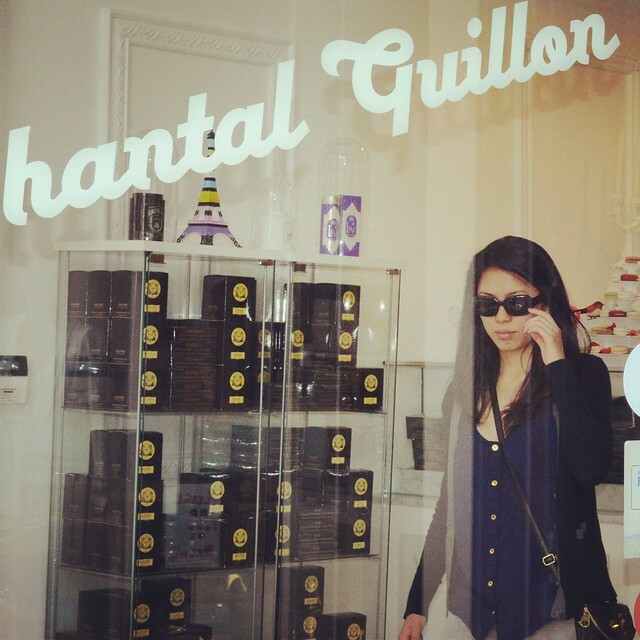 At Chantal Guillon there are more flavors of macaroons that one can imagine, from Tahitian Vanilla to Red Velvet. Chantal Guillon is also a great spot for people watching. 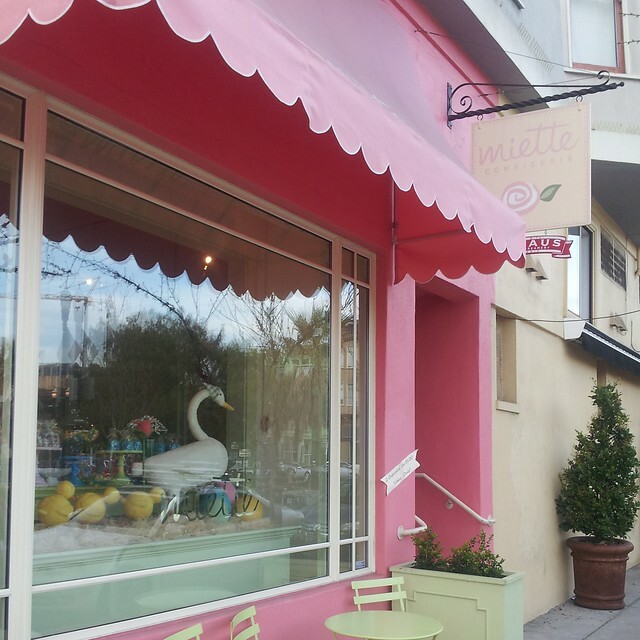 For another edible souvenir, visit Miette, an adorable confection shop with a pink exterior. Miette serves a range of goodies, including candy, cupcakes, tarts, cakes and (of course) macarons. 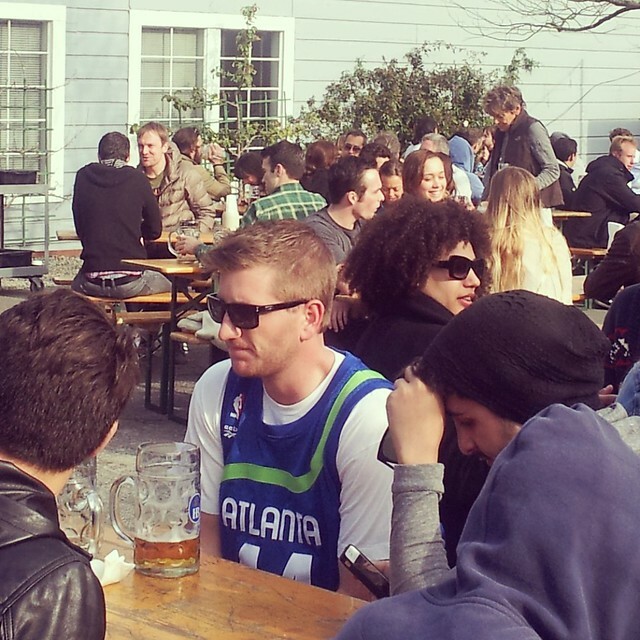 Eager beavers line up at the uber-cool Biergarten to drink and gorge on rich German food in the outdoor patio. The beer garden is in close proximity to Smitten’s, so you can cap of a day of drinking with a delicious ice cream. 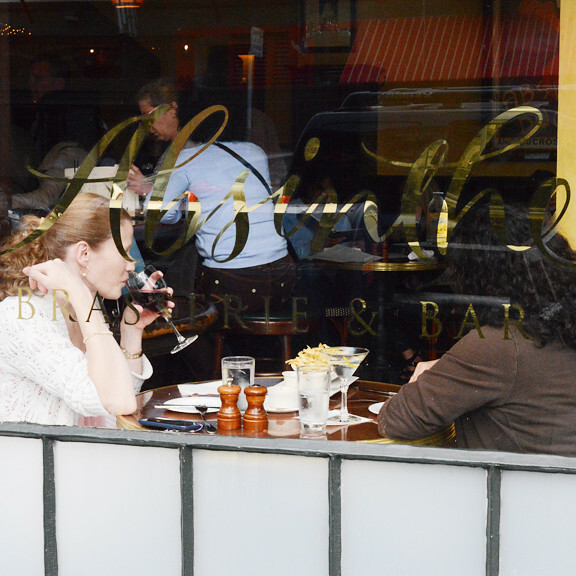 Walk a few blocks to drink and eat ample portions of more German food at Suppenküche. For those seeking after-work happy-hour specials, try the strawberry mojito at the popular Sugar Lounge. 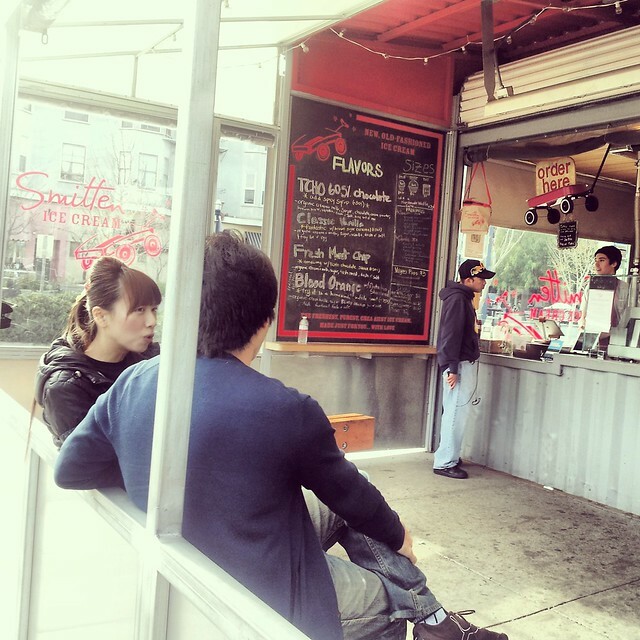 What’s your favorite San Francisco foodie attraction? Share your tips by leaving a comment below! If you are reading this via email or RSS feed, click on Downtown Traveler to leave a comment. Wonderful article – very interesting. It’s nice to know where else to go besides Fisherman’s Wharf. I’d like to think of myself as a foodie (well, sometimes). Great suggestions! Love the idea of rhubarb crunch ice cream!